Last time we watched a video of Astronauts Scott and Irwin simultaneously dropping a hammer and feather to the surface of the Moon and were amazed to find that the objects struck the surface at exactly the same time. It was history in the making, and Galileo’s theory regarding gravity was proven beyond a shadow of a doubt. If you watched the video of the event very closely, it might have struck you that the hammer was falling more slowly than it would had it been dropped on Earth, and you’d be right. Let’s find out why. 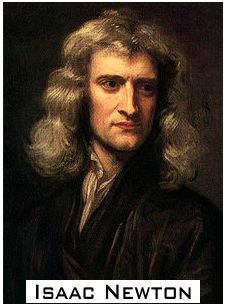 Sir Isaac Newton was a pioneer in this subject matter. According to his book, Philosophia Naturalis Principia Mathematica, first published in 1687, every heavenly body in the universe, whether it be planet, moon, or star, generates gravity, and any object in freefall towards its surface will be subject to that gravity. He posited that the falling object will gain speed at a constant rate as it falls, that constant speed being dictated by the acceleration of gravity factor that’s at play on the heavenly body it’s falling toward. For example, if the acceleration due to gravity on a small planet is, say, 2 feet per second per second, after one second of falling, an object’s velocity will be 2 feet per second. After two seconds of falling, the object will have accelerated to a velocity of 4 feet per second. After three seconds, the object’s velocity will have accelerated to 6 feet per second, and so on. In other words, the speed, or velocity, of the object’s descent will increase for every second it falls closer to the surface of the planet, a phenomenon which is measured in units of feet per second (ft/sec). The acceleration of gravity of a falling object is the linear increase in its velocity that takes place during each succeeding second of its fall, a phenomenon which is measured in feet per second per second (ft/sec2). Next time we’ll discuss the formula which enables us to calculate gravitational acceleration. We have Sir Isaac to thank for that one, too. What Determines Rate of Fall? Picture yourself holding a feather in one hand, a hammer in the other. Your buddy has bet you that if you simultaneously drop them, the hammer will hit the ground first, and he’s got a beer riding on it. This exact experiment was performed in 1971 by Apollo 15 Astronauts David Scott and Jim Irwin when they landed on the moon. We’ll tell you how it turned out later, but first let’s review the history behind the study of falling objects. Aristotle, the ancient Greek philosopher, would have bet with your buddy. Back in the 4th Century BC he developed a theory of gravity to explain the physics behind falling objects. He asserted that the heavier the object, the faster it will fall. His theory seems intuitively obvious on its face, but although Aristotle was a great philosopher, he was a lousy scientist. He never ran tests to actually prove his theory. Nevertheless, it was accepted by academics of his time, and it remained the theory of choice until Galileo came along in the 16th Century. Galileo was a scientist, and he came up with his own theory concerning falling objects. 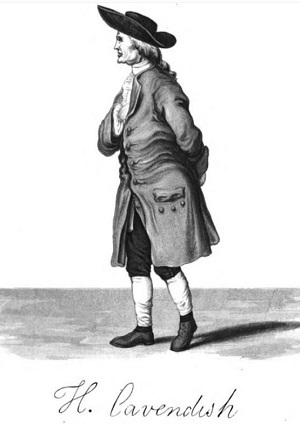 He believed that all falling objects continue to accelerate, picking up speed as they fall, and that this rate of acceleration is the same for all objects, regardless of their weight or density. The story goes that in 1589, at the age of 25, young Galileo attempted to prove his theory by climbing to the top of the Leaning Tower of Pisa with two balls in hand, one large and heavy, the other small and light. He dropped them at the same time, and guess what happened? Both balls hit the ground at almost the same time. They would have hit the ground at precisely the same moment had there been no air resistance, a subject which will be discussed at length later in this blog series. Because Galileo’s experiment was subject to the dense atmosphere of Earth, the influence of air resistance prevented him from proving his theory correct, however he did manage to prove Aristotle’s theory wrong because the balls did not strike the ground at significantly different times. We’ll see how the astronauts’ experiment turned out next time. Posted in Engineering and Science, Expert Witness, Forensic Engineering, Innovation and Intellectual Property, Personal Injury, Product Liability | Comments Off on What Determines Rate of Fall?